Where are these polar bears headed? Do you know? If you do, you might want to give them a hand! Maps don’t seem to be helping very much on this snow-covered terrain where every place looks the same. It’s a good thing that the holidays are just around the corner. Maybe they’ll be lucky enough to get a GPS device from Santa this winter! 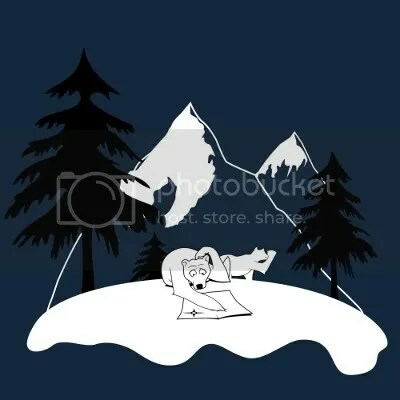 “Polar Predicament” is the newest addition to the OMUNKY line, and it can be purchased in both short sleeve and long sleeve versions for $21 and $24, respectively. The tees are 100% organic cotton, so you can look good while being friendly to our planet!